The Drug Enforcement Administration is being criticized for marijuana raids in states where the drug is legal, prompting lawmakers to complain that the agency’s eradication program is wasting millions of taxpayer dollars. The DEA received $14 million last fiscal year for its nationwide marijuana-eradication program, according to the Washington Post. Among the beneficiaries of the program was the state of Utah, which received $73,000 in marijuana eradication funds. Not a single pot plant was found by agents there, however. New Hampshire received $20,000, and agents uncovered a single outdoor grow site with a total of 27 plants. In October, a group of eight members of Congress sent a letter to the Government Accountability Office describing the eradication program as wasteful. “While the DEA’s Cannabis Eradication/Suppression Program has been in effect nationwide for three decades, the recent trend in state laws to legalize and decriminalize the population, distribution or consumption of marijuana calls into question the necessity of such a program,” the letter stated. Financial documents obtained by Drew Atkins at the Seattle Times show the DEA's program in Washington state, where marijuana was legalized for recreational use in 2012, was the fourth-largest recipient of funding at $760,000, after California, Kentucky, and Tennessee. Funding in the Washington state has declined 28 percent over the last three years from about $1.1 million but cuts are larger in other states where the drug has been legalized, according to documents. Although the sister state of Oregon’s budget has been slashed by 80 percent from $1 million to $200,000 over the same period. Washington state police said small growing operations are not their typical target. In 2015, agents destroyed 609 plants in the state, the average national rate is 519. In 2016, the number of busts ballooned to 57,000 plants marking a 63 percent increase. Police said the increase is attributable to Mexican drug cartels, which have moved their marijuana operations north of the border where the climate produces higher-quality plants. 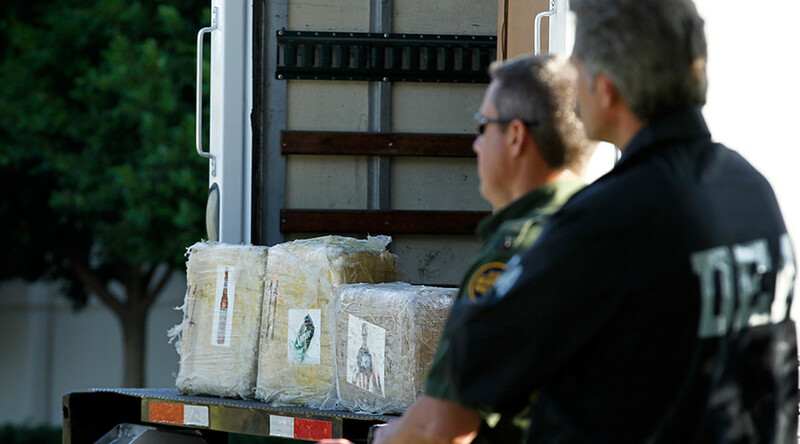 Lt. Chris Sweet of Washington state police said the drug cartels operate on “swaths of private land, often in mountainous regions, where detection of large crops is difficult,” according to the Seattle Times. Eight more states legalized pot in November. The DEA’s eradication program received damning national attention when in September last year, agents sent a helicopter, a posse of police vehicles, state police officials and National Guard troops to raid the home of 81-year-old Massachusetts woman to find a single marijuana plant growing in her garden. One of the signees of the October Congressional letter was Representative Ted Lieu (D-California) who proposed legislation last year that would have funding to the program by half, but there was no support for the bill. Lieu’s proposal came before California voters approved Proposition 64, which approved legalized pot for adult recreational use, and allowances for growing six plants at home. No one will be able to legally purchase recreational pot in the Golden State until 2018, however.